The elegance of stone veneer is unrivaled and it gives any home or business a beautiful and natural look. Stone veneer also carries some rustic essence to it, which means you can easily recreate a traditional look on your interior dcor. However, you need real stone veneer to have a beautiful home and not settle for those engineered, manufactured or cultured stones flooding the market today. So I discovered a new way to get my stone veneer all natural and unique. The secret is in purchasing the stone veneer direct from the source the quarry. There are plenty of merits to gain by choosing this option and I will highlight just a few, most important ones, so you can give this option a try sometime. First, purchasing direct from the quarry ensures I get the real deal instead of the many knock-offs in the market today. It may not be easy spotting a knock-off as they look similar to the original stone veneer. 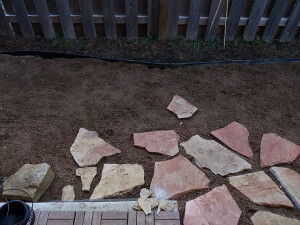 However, I have learned to look out for the red flags fake stone veneer wears off easily with time and you can tell this from how the interior appears overly exposed after a couple months. Here is another great tip you may not have known about buying from the source you get things cheaper. I know most of us don’t like doing the extra work of getting the product directly and would rather have a factory pick the stone polish and sell it as finished product. But trust me things are much cheaper at the source as there are no middlemen to deal with. And think about it getting a cheaper price at the quarry is cost effective, especially for that huge construction project you have coming up more volume for low price. On the other hand, if you only have a small section to work with, you buy low volume at a good price. Buying from the quarries allows me to choose whatever style I want the stone to be. And there is lots of variety straight from the quarry than what you will get from a store. I can go with a ledgestone, Biltmore, dimensional ledgestone, Tuscan, mosaic, stone jewel, closeout, old world or fieldstone. Each stone veneer type comes with a different color to blend with my home or office. Alternatively I can decide to mix up a few colors and textures in case I want to try something different. I can become even more unique and have my stone veneers cut out more for a different look. If you haven’t heard about thin stone veneer, its a new way to still have stone veneer but with a dash of unique that separates you from the rest. Thin stone veneer is flexible enough cut to different angles to achieve a different look inside any house. With thin stone veneer, it is possible to have the stone cut in 90 degree angles to fit unreachable corners. This thin stone gets reinforced with masonry ties to secure the construction. By far, the blend between thin stone veneers with masonry ties has proven the toughest and stable compared to using full thickness stone. 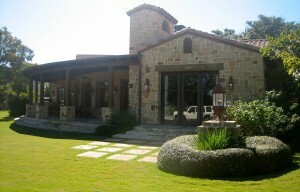 Building with only natural stone veneer is the best investment I can make for my home or office. It allows me to maintain the original tones and hues of natural stone, have the stone in its full thickness, and select whatever style or texture I want it to have. And more importantly, buying my thin stone veneer straight from the source is cheaper as opposed to involving middlemen between. My advice is, go the extra mile and buy from a quarry, it gives you the freedom you cannot get from a website or store. As someone who is a fan of small weekend projects, I often find myself buying DIY supplies and materials. Not too long ago, I decided to replace the flooring of my deck with thin stone veneer I have always admired the way in looks so natural and I also love the fact that it can last for years without suffering any damage. As I was buying a large quantity, I knew that I couldnt get enough from the shop where I usually buy my supplies. I contemplated going to a quarry not too far from my home and I was glad that I did because it turned out that buying stone veneer directly from the quarry has some advantages. 1. It turned out to be much cheaper that I expected. When I asked the quarry operator why, he explained that the risen why the price of stone veneers has been rising every year is because there is a middle man most of the time, sometimes even two. By the time veneers get to my local shop they have been handled by the guy who got them from the ground and then maybe one or two more people and everything has to make some money. Buying from the quarry is so much cheaper because you avoid the middlemen. 2. I was glad I went to the quarry because I was able to choose the color of stone that I wanted. It turns out that there are so many different colors when it comes to stone veneers. I was able to choose a color that goes well with the rest of the exterior of my house. Did you know that you can also choose thick stone veneers if that is what you prefer? Like I said, going to the quarry was a great idea. 3. I was able to get the cut of stone that I wanted. I hadnt thought about this to begin with. I was simply going to buy stone veneers and install them in my deck. 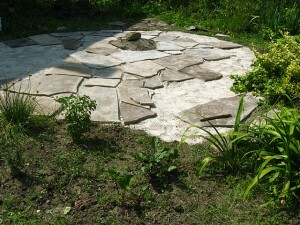 It turned out, as the quarry operator explained, that different projects look good with different styles of stone. I was able to find a cut that was going to look beautiful for my project. 4. Another advantage of buying straight from the quarry is the fact that I was able to choose strong stones. When thin stone veneers are handled by middlemen they dont always get to their intended destination in good condition. They can develop cracks which you will only find in the process of doing your project. Buying from the quarry allowed me to choose only the best and strongest stones. 5. I was able to get my stone veneers cleaned up a little but they didnt lose their natural look. When veneers come out of the ground they are usually a bit rough. Some vendors chip away at some of the edges to give them a better look. Others dont and the one doing the project has to take sometime before they install every stone to make sure that it is looking good. This wasnt going to be a problem for me they were willing to clean the stones at the quarry. 6. Initially, I was worried about how I would transport the stones. It turns out I didnt have to be. The quarry has a truck that they use to transport stones for people who dont live too far. Those who buy stones from them but live beyond a certain radius can pay a small fee and their thin stone veneers will be shipped for them. If you have a project coming up soon you should seriously consider buying your thin stone veneers directly from a quarry. No matter what your home project is, if you are using stone veneer or thin stone veneer, then you should definitely buy it directly from the quarry. What you have to remember is that the middle man always wants something. They don’t buy products and sell them for no reason, they do it because they make a profit from it. This basic principle holds true for just about anything that you can buy and sell, and stone veneer is no exception. By going directly to the quarry you can avoid the middle man, and by doing this you will avoid someone extra profiting because of your purchase. What you have to remember is that when you pay more than you have to by buying your stone veneer from a third party you are essentially throwing your money away. Using stone to decorate your home is a great decision for many different reasons. Stone veneer is not only beautiful, it is very durable and long lasting. Unlike wood, or vinyl laminate, or carpet, it won’t wear out quickly over time and need to be replaced. Not only is stone a stunning way to decorate and accent your home, it is extremely long lasting and durable. If you are concerned that stone can be more costly to install, just keep in mind how long it will last. In 10 years you may have to replace carpeting up to two times, and during that time your stone veneer will still look great. So instead of simply thinking in flat terms of up front cost, try instead to think about the longevity of stone, and how over time it will be well worth the investment. So what types of projects around your home should you use stone for? You can use it for a deck, or you can put it down as flooring in your home. In fact you can use stone in so many different ways that it can work for just about any type of at home project. Stone counter tops are beautiful and long lasting. Stone floors are the same. If you are looking to add a touch of class to your home then stone is definitely the way to go. Now that you probably see what a great investment stone veneer can be for your home the next thing you need to do is plan out how to purchase it. So why exactly should you go directly to the quarry to make your purchase? There are a number of reasons including one of the most important one, it saves you money. When you buy directly from the quarry you save money for a number of reasons. Retailers have expenses. They have to pay for rent and utilities. They also have to pay to have product shipped to them, and pay for employees, insurance, and benefits. On top of that they still need to turn a profit. This means more money for you, which isn’t good if you are working on a budget. On top of saving money the other big reason you should go directly to a quarry to buy your stone is the selection you will have. When you go to a retailer to buy stone you have limits to what you can get. When you go directly to the quarry you can tell them what type of stone you want, what color you want, and the thickness and shape you want. This type of customization is well worth the extra effort it will take you to go directly to the quarry. The bottom line is to the quarry gives you better options, and it saves you money. If you are planning to do a renovation or a complete remodeling of your home or commercial space, you may want to consider using thin stone veneers for the external walls. The truth is, one of the major visible aspects of any building that can determine how beautiful and unique a structure looks is how the external walls are designed. Although there are a number of ways you can explore in finishing the exterior walls, using thin stone veneers offers a unique and beautiful option for any home owner. Besides, there are different colors and patterns you can pick so that your external walls look beautiful in line with your preferences. If you are looking to completely transform the interior design of your home, putting in some thin stone veneers at the fireplace can indeed work wonders. In most cases, a lot of people would prefer concrete bricks as part of their fireplaces but that really doesn’t always add up to the overall interior dcor of the entire house. In that case, try out thin stone veneers and you will be surprised. You don’t even need to put in a lot, just a few natural thin stone veneer Texas can have a very good impact on how the fireplace and the room in general look. If you have a patio at home or in your commercial space, the best way to make it as beautiful and as natural as possible is through thin stone veneers. The same is also the case when it comes to outdoor pathways and pavements that can be floored with stone veneers. The great thing about having thin stone veneer Texas on patios is the simple fact that they transform the whole patio into a unique and breathtaking place where people can relax and enjoy the cool breeze or the amazing sunshine. Besides, thin stone veneers are quite resistant to weather extremes and offer the most practical option for outdoor pathways and patios. It is also very important to note that thin stone veneers can also play a vital role in the overall landscaping whether its at home or at a commercial establishment. The great thing is, you can combine thin stone veneers with other landscaping ideas. 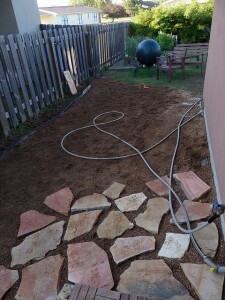 For example, if you are planting grass you can consider putting in thin stone veneer pathways in between. Additionally, make sure the flower pots are embellished with thin veneer stone Texas on the exterior. Ultimately, these basic ideas will gel so well to offer you a breathtaking landscape. If you have a pool at your home, you can do a number of things to make it part and parcel of your outdoor landscaping. Instead of having concrete on the sides of the pool, you can install thin stone veneers. This will not only transform how the pool looks but will go a long way in giving your landscape a whole new transformation that will amaze you. In addition to this, its far much cheaper to have thin stone veneers installed around the pool compared to pure concrete. In that case, you get quality and beautiful landscapes at very good stone veneer prices Texas. The popularity of thin stone veneers is on the rise and a lot of residential and commercial properties are finding various applications for them. However, do not limit yourself. 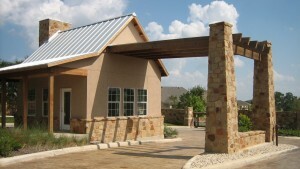 There is so much you can do with natural stone thin veneer Texas. As such, you are free to be as creative as possible. When looking to buy this stones there is need to undertake some research. There are various avenues that you may get information including building contractors or experts, the internet or from clients. The contractors are bent on having you so they may not give you accurate information. You may check the internet for client reviews. However this may also be sponsored by the veneer sales firms and may be inaccurate. You may request then for two former clients who may offer non biased details. They can refer you to the best sellers. ; Here you may get quotations and purchase your goods from the best quality dealers offering affordable prices. There are several benefits of this stone thin veneer than manufactured; one of the most important is how cost effective stone veeneer prices and beautiful alternative they are. The installation cost is less also as compared to the others. Thin veneers are around an inch thick and are made from natural fieldstone. This design makes them easy to install and transport as they are not as bulky. They are of different shapes colors and varying sizes. They replicate the usual stone but they are stylish easy to fit and cheaper. Apart from that is that they have wide applications of finishing both the exterior parts of a church, kitchen office, homes and many more. There are various dealers that that deal with selling of natural stone veneers to contractor’s architects or even home owners. When you look over the internet you will find widespread firms both locally and internationally that sell this products. You can also make your orders online or through phone reservations to some of these companies. Some of them will offer home delivery as an after sale service for free. Payments are done once the goods are delivered at your doorstep. These conveniences enhance the trust between you and the dealer. Ensure to get the quotes prior to making payments. Many dealers promote their products with sophisticated and appealing language. However words alone cannot determine quality. That is where you may require the services of professionals to analyses the quality of the stones. It is possible that you may have dealt with the stones before or have seen them but only expert can discern the real deal from the fake ones. It is common for dealers to deliver goods made of low quality instead of the one that were ordered. This one’s do not last long and may result toy incurring losses. That is why you need to get a warranty on every purchase you make. Modern stone veneer is an inexpensive and immaculate way to decorate your patio and give it that impressive lasting look. Even though there have been fears of cultured thin veneer stone being unstable as a building material, it has proven to be the opposite and more masons and DIY guys are considering it for the home dcor. If you are hanging on the fence whether to install or not install stone veneer, here are some good facts to make or break your decision. For years, stone veneer was used to add that ageless aesthetic touch to homes, offices or private businesses. The same style and glam can be on your patio and thin stone veneer is the best way to do it. It cost less compared to full stone veneer plus the installation is pretty fast if you follow all the instructions right. Though it is factory engineered, thin stone veneer is pre-treated to make it strong and tough for any home application. If you mix and apply the mortar foundation and lay the tiles right, there wont be any cause to worry about cracking. With the right spacing between the thin stone veneer tiles, they will have enough expanding space when its hot or cold thus preserving their full form. You can take real stone veneer and thin stone veneer, place them side by side and you wont see a difference. Just because they are man-made there is the common myth they will have that plastic look even when used. This is however false, thin veneer tiles have the same look and level of aesthetics and when installed they will bear the same stone veneer look. Furthermore, it is way easier working with thin stone veneer, especially if you are a DIY guy. Even for your first time stone veneer installation, thin veneer tiles are lighter, easy to lift and cut into any shape you want before laying them. You only need a scraper, flat trowel, brick trowel, stiff brush, grout bag, joint tool, masonry brush, the thin stone veneer, cement and some stand to have your patio look timelessly elegant. The myth about engineered stone veneer being low quality is absolutely false. You just need to buy the best product from a recommended supplier because there are lots of low quality products in the market. Make sure you follow the installation instructions provided by the manufacture and you will have no problem while you enjoy your thin stone veneer patio. 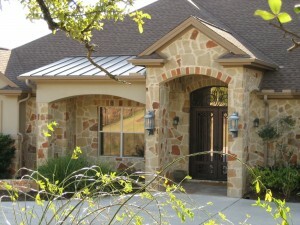 Natural stone thin veneer Texas creates a pristine unique look to any home or commercial building it is used in. Thin veneer stone Texas is tough, compatible with all kinds of building materials, flexible in application, and is available in different shapes/sizes leaving you with a lot of freedom on how to install it. However, the best way to enjoy the benefits of thin stone veneer Texas is to ensure the product is bought from a trusted supplier and installed by the best contractor in town. Nonetheless, you can still install your own stone thin veneer Texas by carefully following some simple guidelines. These guidelines require you to have basic masonry tools and some prior knowledge on how to lay stone. Doing it correctly will ensure your stone walls maintain its beauty for a longer period. The first step is applying weather-resistant material on the surface where the stone is to be laid. Rigid sheathing can also work in the place of weather-resistant paper. The installation process takes a bottom up approach with weep creeds lining up the base. Ensure the layers have at least four inches of space between them before fastening the weather-proof material with metal laths. The second step is to cover the weather-proof material with scratch coating. About half or three quarter inch of scratch coat is applied before you bring in the thin veneer stone Texas. Type S mortar is the commonly used scratch coating which can also be used for stone setting and grouting. Dry pre-mixed masonry mortar can also be used in the lace of Type S.
The third step is determining the natural thin stone veneer Texas arrangement before laying them. Because the stones come in different shapes and sizes, it is important to first arrange them on a flat working area to have a clear idea on how the stones will be laid on each other. A minimum of 25sq feet area is enough as a sample work space. This prior arrangement will also help you lay the stone in different styles, colors and textures to achieve a beautiful wall at the end. Fourthly, lay the thin stone veneer Texas to your scratch coat. Before installing the stone veneer, sprinkle the scratch coat and stone veneer with water to ensure the bond is properly hydrated to aid adhesion when the stone is finally laid. If you are laying the stone in a horizontal direction, use a level to scratch where the stones will be placed and to ensure uniformity throughout the entire project. Start with the corner stones working your way in and from top to bottom to ensure no mortar comes to the stone surface (making a mess). Apply about half inch mortar to the entire area of the stone. When placing the stone, do so in a wiggle movement to feel if the adhesion between stone and scratch coating is strong enough. Once the stone is set, you cannot move it after as this may upset the entire pattern. When every natural stone thin veneer Texas has been laid, your next step is to fill out the spaces in between with grout. A grout back is the best tool to fill with as it applies uniform layers throughout the stone joins. Grouting happens after the stones have been left to cure for a while. Insert the grout bag tip deep into the joints to evenly spread the grout. Be careful not to apply too much. Grouting will also help cover up cut or broken edges on the natural thin stone veneer Texas. When the joints are firm with mortar, strike the mortar with a metal or wooden object to push it further into the existing voidsto permanently seal them. It is important to fill up every hole to prevent pests or water from seeping through and damaging your wall. Brushing over the mortar helps smooth it out and clean any existing loose mortar bits. Dont use water while brushing with a whisk broom as this will make your thin stone veneer Texas wall look murky. 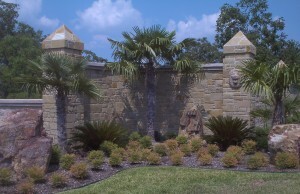 With this step-by-step procedure, you will have your natural stone thin veneer Texas wall looking beautiful in no time. Be unique and experiment with different colors and textures make sure to shop around for different stone veneer prices Texas to get the best deals. The advantages of thin stone veneer with a guide to getting the best. The natural stone thin veneer is unique and comparably cheap. If you intend to use the veneer on your fireplace, outdoor kitchen or pillars, you will find thin stone veneer easy to use. It also adds a natural, authentic touch to your work. Unlike the artificial version, natural stone veneer comes from real natural stone sawn and split to the desired thinness. The most common thinness is around one inch thick. Natural thin stone veneer has many synonyms. You might, therefore, get confused when it comes to buying. Some commonly used names include stone façade, stone lining, stone sheeting, stone veneer, thin stone veneer, real stone veneer, stone cladding, stone facing, stone overlay, brick veneer or stone siding. Benefits of using thin stone veneer. 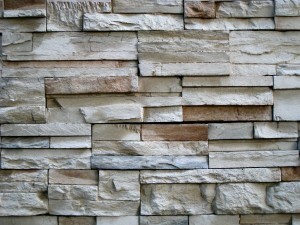 Cost effectiveness: natural stone veneer is relatively cheap. Compared to the artificial version, you get quality for less. While the artificial version is not as good as the natural, version, they surprisingly go for around the same prices. Ease of use: the natural thin stone veneer comes with pre-cut corners and full thickness. It also does not add any extra weight to the surface. Stress-free installation: natural thin stone veneer installs with ease just like its artificial counterpart. Within no time, you will complete the installation process. Flexibility: there are many options available for natural thin stone veneer. You can choose from the various colors, grains, types of stone/brick and textures available. You can also decide on one of the many face options available. Vast uses: when it comes to uses, you will love what the natural version can do. It easily blends in with many surfaces. You can install it on wood structures, drywall, on top of brick surfaces, concrete blocks, and stucco. Whether outdoor or indoor, it will still blend in. Where to purchase thin stone veneer. With the many technological advancements, you can now comfortably buy thin stone veneer online. There are many stores available for thin stone veneer sale. Browse through this stores to see if any of them has what you have in mind. You can also go through reviews from the customers and experts. It helps when it comes to making a decision. The suppliers also have teams of experts who can advise you accordingly. Feel free to call them, share your ideas, and they will deliver just what you need. Thin stone veneer prices vary from one supplier to the other. Go through various sites to determine the cheapest. Take note that the sellers have different delivery times. Some will deliver your product within one business day while some might even take a week. Therefore, it is good that you consult them on this in case you need your thin stone delivered soonest possible. There are also some ‘offline’ shops that sell thin stone veneer. They too are found online. The majority have websites through which you can get contact details and directions. Selecting the best thin stone veneer. It is long lasting. If you think that brick will last longer you are wrong. Thin veneer lasts just as long and requires little or no maintenance over the years. It is very light. This means that it is easy to deliver at the construction site, it is easy to work with and best of all, contractors tend to complete their projects faster because the material is easy to install. It is natural looking. Many people want their homes to look natural both on the outside and the inside and natural thin stone veneer is a good way to achieve this. The other great thing is that it doesnt discolor with age. It is highly affordable. If you are having a problem affording full size bricks then you should know that natural thin stone veneer costs far less sometimes as much as 3 times less. It also helps you cut overall labor costs because your project is finished faster. The stone is veneered by the vendor so you dont have to bother with any special equipment. As it is light, this is the perfect finish when there are load concerns on walls. It can be added without altering much in terms of weight. It can be used with a variety of other finishes. The beauty of thin stone veneer is that since it is natural it can be made to look great with almost anything. If you want to improve the look of one of the walls in your home, for instance, you dont have to touch the finishing on the rest of the walls just install thin stone veneer and you have a brand new and much improved look. Where should you buy natural thin stone veneer? It is important that you find a vendor who will give you a good deal. Since there are many of them around you may have to narrow the list down by talking to them and looking at their products. The important thing to ensure is that your thin stone veneer will be delivered at your construction site without much fuss and that the vendor sends along people to get it off the truck and into your storage area. Depending on the size of your project you may also want to find a vendor who can give you reasonable discounts. You should also look for a vendor who is close to your site as this reduces transportation costs. What should you look for when buying natural thin stone veneer? This finish is natural so there isnt much that you should watch out for. That said, the vendor should ensure that his veneers are cleaned up a little without losing their natural look. This allows for direct installation without builders having to chip and shape the veneers.